Dublin city - oconnell bridge. Dublin city at sunset with view over o\'connell bridge and liffey river. 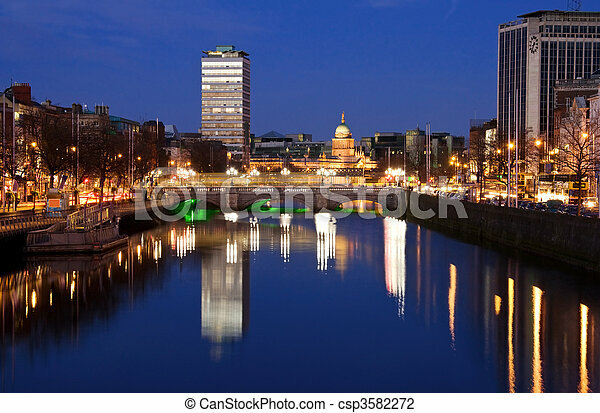 Dublin city at sunset with view over O\'Connell Bridge and Liffey river.